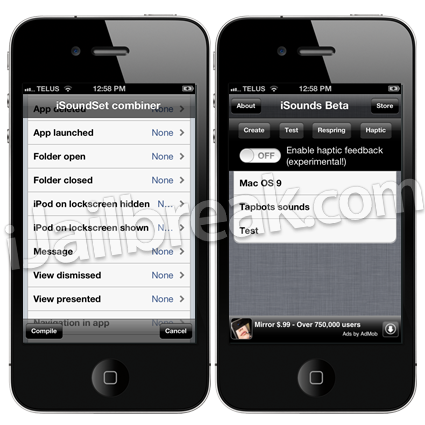 Would you like to change the boring old iOS sound effects on your iPhone, iPod Touch or iPad? Well, if you would then you should check out the iSounds Cydia tweak. 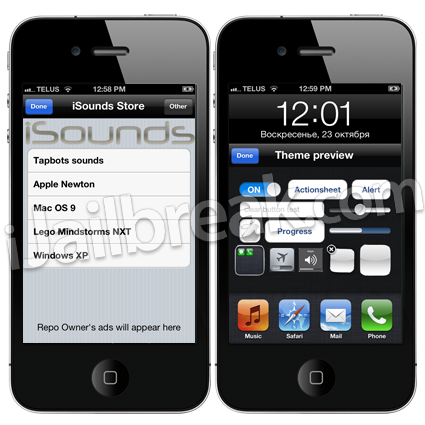 What the iSounds Cydia tweak allows you to do is apply custom sound effects to the entire iOS interface. You can even make it so actions like opening applications, booting your iOS device etc. have sound effects attached to them. This will dramatically change the whole experience of navigating through the iOS interface. Upon downloading the iSounds Cydia tweak an icon will be placed on your SpringBoard (homescreen) where you can apply a sound theme like Mac OS 9, Windows XP, Tapbots sounds and much more! If you want to further customize what sound effects are enabled you can customize the iOS interface by individual actions as well; allowing you to mix and match sound themes. One other feature of iSounds is the ability to enable haptic feedback, which I wouldn’t personally recommend as it will eat at your battery life. it tells me i need an iPhone to enable it. your post says ipod touches can do it to…please fix!! !